Marketing has changed at a rapid pace. Some marketers even believe that marketing has changed more in the past two years than in the previous 50 years. Most startups these days have adopted digital marketing. But not all the weapons that digital marketers have in their arsenals are equally effective. Some digital marketing strategies hit the bullseye, while others don’t even come close. In today’s post, I’m going to share 9 of the best digital marketing strategies for startups. After reading this post, you will have a clear picture of profitable digital marketing strategies for your startup. In a recent survey conducted by Demand Metric and the Data & Marketing Association (DMA), it was concluded that email marketing had an impressive ROI of 122%. That was four times higher than the other marketing channels which were analyzed. Those channels included paid search, direct mail, and social media. They crafted a crisp, engaging, email copy. The success of this email? I took a Pool ride in the evening. How can you craft such an email? According to a Social Media Examiner’s report, 90% of marketers confirmed that social media is important to their businesses. And 89% of marketers indicated that their social media initiatives have generated increased exposure for their companies. Social media marketing, in my view, is the second most important marketing strategy for startups. Though businesses are increasingly adopting social media marketing, not all of them are doing it the right way. Many of them are making fatal social media marketing mistakes. First of all, you should choose the right social media marketing channel, then develop a social media marketing strategy. Just because one business is getting huge success through Twitter, doesn’t mean you will get the same success through it as well. If your potential customers are on Facebook, make Facebook your point of focus. Likewise, target your efforts on LinkedIn if your audience is on this professional network. For your startup, the best social media channel is where your potential customers hang out most. A good social media marketing consultant will build a customer persona first, then start creating a social media strategy for your business. PPC campaigns exhaust the budget quickly. So it requires a certain kind of expertise to engineer a successful campaign that generates more conversions than clicks. You have built a website with an awesome design, and you have created service pages for all the services you offer. And you think visitors will come. Right? There are hundreds of websites in your niche alone. How can your website come up on the top when potential customers search for the keywords relevant to your business? This is where search engine optimization (SEO) plays a decisive role. Search engine optimization not only increases traffic to your website but also builds trust. Search engine optimization is a must for every startup. Just be sure to follow the best SEO practices for your website. However, there are many challenges faced by startups involving SEO. You can overcome these challenges by hiring a good SEO company. 94% of marketers in a survey believed influencer marketing to be effective. Influencer marketing is a highly effective tool for startups to grow their brands. And the best thing is that it’s inexpensive compared to traditional marketing channels. When you are starting your business, you might not be able to rope in big digital marketing influencers. If so, you should find micro-influencers for your startup. Believe me, my friend, influencer marketing can make a big difference if executed effectively. 90% of B2C organizations are extremely/very committed to content marketing, and 88% of B2B marketers agree that content marketing is an important part of their marketing programs. When you map your content strategy to follow the different stages of your buyer’s journey, you create useful content that your target audience will love to read since it will solve their problems. This eventually builds trust and increases conversion rates. As an added bonus, content marketing supports your SEO and SMO efforts. 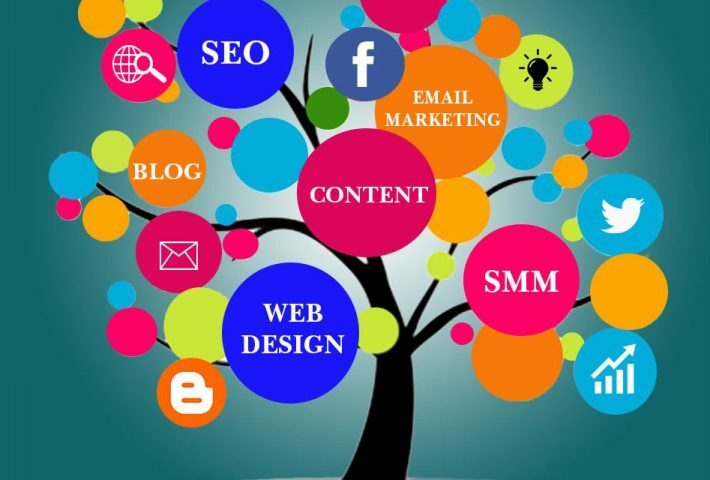 You will have more content for your website’s blog, and social media postings. You should remember that content marketing seldom offers quick results. It takes time before you start noticing the results of content marketing. But the impact it offers is long-lasting. What is a retargeting ad, and how does it work? Retargeting is a means of marketing in which you show relevant ads to those who have previously visited your website. And when this customer visits other websites, the retargeting platform is notified by that pixel and the customer is served with the relevant ads based on the pages he/she visited on your website. With effective retargeting ads, you can convert those visitors who have previously shown interest in your products or services and increase your conversion rate. As a startup, there’s no better way to create a strong buzz about your brand than going viral on the internet. Creating content that goes viral can make your business an overnight success. What’s more, viral marketing is essentially a result of the combined efforts of the other techniques we’ve already discussed. Blendtec is the perfect example of its potential. One day they’re not really selling any of their high-grade blenders. One viral video of its potential to blend practically anything and the orders started to rake in. Quite frankly, it was an ingenious ploy by the brand’s marketer. Well to put it simply, by doing something incredibly hilarious and possibly weird (like this out-of-the-box thinking by Blendtec). Leverage social media to get yourself noticed and shared to the best of your abilities. It’s sure to cause a major surge in the traffic to your website for a certain period of time. And once you’ve gone from relatively obscure to trending, your job is half done. The other half, of course, is converting that huge traffic into purchasing customers. As a strategy, I’ve seen several B2C businesses leverage it well. The Dollar Shave Club is another brilliant example that illustrates its potential. As a bonus, it’s a somewhat frugal strategy as well. Affiliate marketing can be treated as a sibling of influencer marketing. It too relies on the influence of people to bring in sales. Which is why you should consider integrating it with your influencer campaign. In affiliate marketing, you can sit back and relax as others do your marketing for you. That’s a rather simplified version of putting things. Disclaimer – I don’t recommend the sitting back part as it should never be your only strategy.